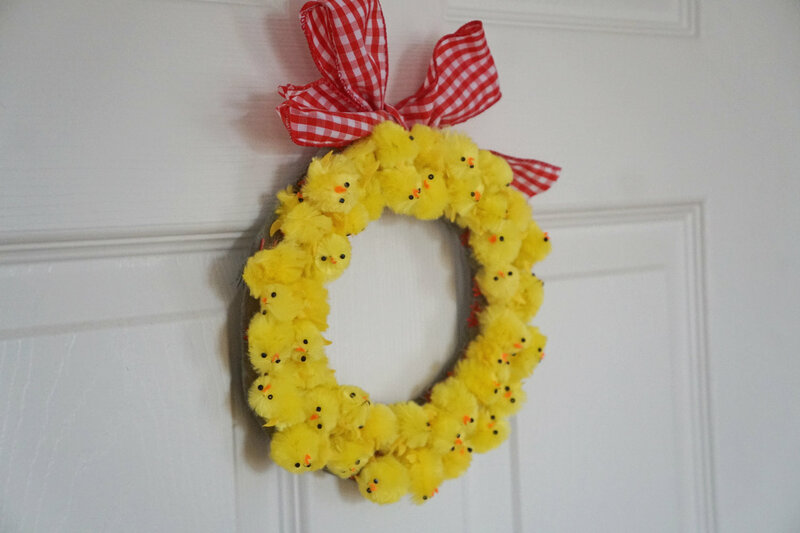 With the long weekend upon us, we thought we'd make some Easter crafts. 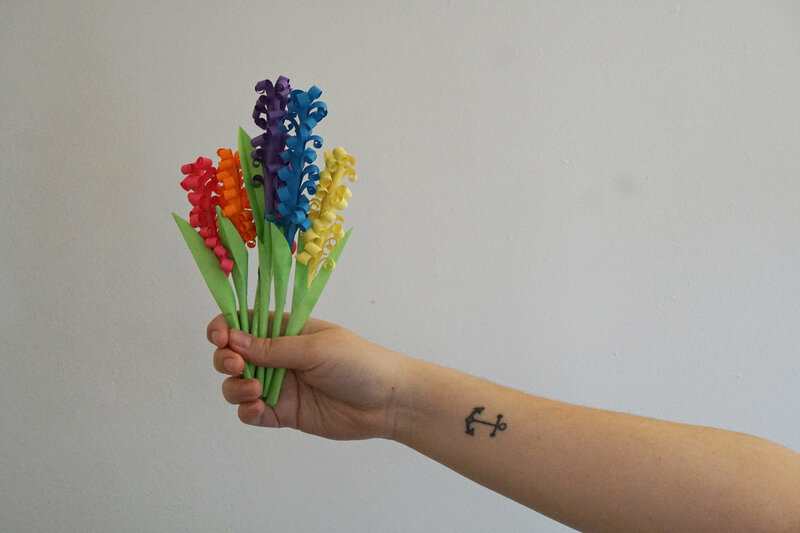 Perfect for beating bank holiday boredom and for brightening up the house ready for spring. They're all fairly easy to pull off and can be made with materials from around the house, or things that are easily picked up in town. Place your chicks on top of the cardboard and arrange into a ring shape. Make sure they are grouped together well and no cardboard can be seen underneath them. Draw a circle around the inside and outside so you know where to cut. Use a scalpel or sharp scissors to cut the circles out. Hot glue the feet of the chicks to the cardboard. Pierce a small hole near the edge and thread through the ribbon. Tie neatly and hang on the back of a door. Gently boil your eggs for 15 minutes and leave to completely cool. Add a few drops of your chosen colour to a bow of water. Then add a teaspoon of white vinegar. Use separate bowls for each colour. 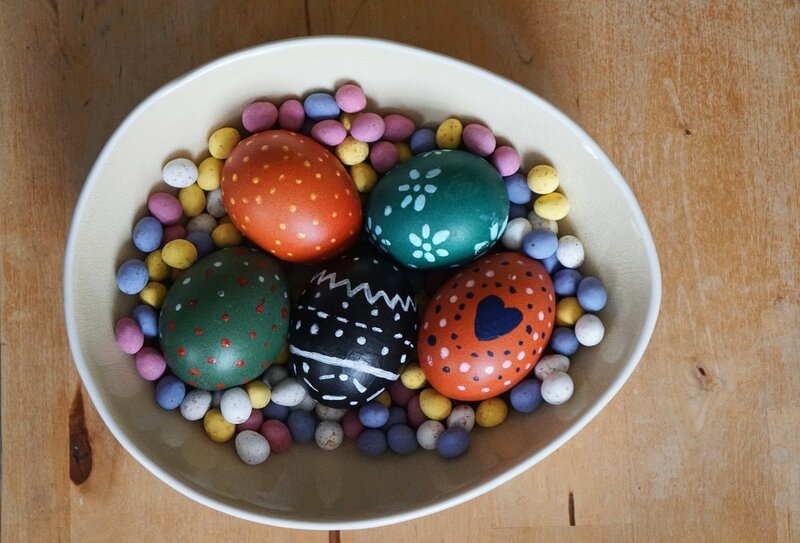 Place the eggs in the colour for fifteen minutes. Pat the eggs dry when you're happy with the colour. Paint patterns or designs using acrylic. You can place in an egg cup or the box while painting to minimise smudging. Place in the fridge overnight so they last longer. For this one, we followed instructions from One Little Project at a Time. Its a little complicated to explain so we'll hand over to her since her instructions are so clear. Read how here. What did you think? Leave us a message below if you liked these ideas or if you have one of your own to suggest. If you make any of the crafts, tag us on social media so we can see your creations!